Over 50 interactive training modules available, including all-new GDPR training module! Tech Guard is partnered with KnowBe4, the world's leading security awareness training company and a Gartner Magic Quadrant Leader, to provide the latest in new-school cyber awareness training. Our approach is proactive and ongoing, to ensure staff receive regular training on the changing threat landscape and always keep security top-of-mind. The key to our security awareness training is that we focus on people, not just technology. Social Engineering, the art of manipulating users to take an action that will harm them, remains the attack vector of choice for hackers worldwide. Our selection of training courses focus on this human element and helps your staff to identify malicious emails - creating a human firewall. We have several training plans available, so we'll always be able to find the right choice to keep your business safe. Talk to us today to see how we can help, and schedule a demo or quote. This fully interactive module takes you on a tour of the threat landscape and shows you the most common ways bad guys try to trick you. Three real-world scenarios show you strategies and techniques hackers use to take control of your computer system. Kevin Mitnick then takes you behind the scenes to see how the bad guys do what they do. You’ll learn about the seven areas of an email that can contain red flags that alert you to a possible attack. The Danger Zone exercise will let you apply what you’ve learned when you help Jake Sanders, a typical computer user, steer clear of six real-world social engineering attacks. This module is available in SIX additional language versions: French - European, French - Canadian, German, Polish, Spanish, and British English. This module is a condensed version of the full 45-minute training, often assigned to management. It covers the mechanisms of spam, phishing, spear phishing, spoofing, malware hidden in files, and advanced persistent threats (APTs). This module is available in 26 language versions. In this interactive module provides an overview the General Data Protection Regulation. The goal of this module is to familiarize Employees with the General Data Protection Regulation, also known as the “GDPR”; what it means to your organization; and what it means to their job function. There will be a few ungraded knowledge checks along the way to help them retain information for real-life scenarios, followed by a graded quiz at the end. This course takes an employee through the basics of what ransomware is, how it came to be, and what the risks of ransomware are. It has a lot of the information of the immensely popular Ransomware Hostage Rescue Manual that KnowBe4 publishes for free. It's 25 minutes long and has a 10-question assessment at the end that needs to be passed with an 80% score. In this 10-minute module, employees are quickly brought up to speed to inoculate them against what the FBI calls "Business Email Compromise" and what is commonly known as CEO Fraud. Concepts like social engineering, email spoofing, and the two ways that CEO Fraud is being perpetrated are covered. There is a short video with a live demo of an infected Excel file, and a short quiz to test understanding at the end. Downloadable PDF Resources: Social Engineering Red Flags, and Security Awareness: Best Practices. This 10-minute module takes employees through the basics of safe web browsing. They will learn how to avoid common dangers and the "do's and "don'ts" of safe web browsing. This module is set up to be fully interactive and could be presented as a quiz to take and "see how much you know". This new interactive module provides an overview of the General Data Protection Regulation. The goal of this module is to familiarize employees with the General Data Protection Regulation, also known as the “GDPR”; what it means to your organization; and what it means to their job function. There will be a few ungraded knowledge checks along the way to help them retain information for real-life scenarios, followed by a graded quiz at the end. This 20-minute module covers the basics of credit card security. It is meant for all employees in any organization who handle credit cards in any form, whether taking orders on the phone, swipe cards on terminals or through devices connected to smart phones. It teaches employees to handle credit card information securely to prevent data breaches. Different types of cards are covered, which specific elements the hackers are after, and explains how malware like keyloggers, password crackers, and spyware can endanger credit card information. Employees are taught the rules for paper copies of credit card data, and things to remember during data entry, including things NOT to do like sending credit card information through email and text and more. A quiz ends off this module. This 15-minute module uses real examples of credit card fraud, and how to protect your organization against this by being PCI compliant. This course is for anyone that’s responsible for handling credit cards in your organization and qualifies as Security Awareness Training. Especially owners, the CFO or Controller, managers and IT people in charge of credit card processing should take this course. The training covers topics like Merchant levels, Merchant types, Self Assessment Questionnaires, new changes in the industry, chip cards, TIP Program, Qualified Integrated Resellers and the key security requirements for any organization. This 15-minute module of the Kevin Mitnick Security Awareness Training series specializes in making sure your employees understand the importance of safely handling sensitive information, like Personally Identifiable Information (PII), Protected Health Information (PHI), Credit Card data (PCI DSS), Controlled Unlimited Information (CUI), including your organization’s proprietary information and are able to apply this knowledge in their day-to-day job for compliance with regulations. A version for Canada is also available. This 15-minute module specializes in making sure your employees understand the importance of Mobile Device Security. They will learn the risks of their exposure to mobile security threats so they are able to apply this knowledge in their day-to-day job. In this 15-minute module you’ll learn about strategies and techniques hackers use to trick people just like you. We provide you with three real-world-based scenarios that show you how these common threats can take place. At the end of each scenario, Kevin Mitnick will take you behind the scenes and reveal exactly how each type of hack is accomplished. Today’s threats are sleek, sophisticated, and very slippery. They can slide right through your organization’s antivirus software and spam filters and go straight to your inbox. This is a high quality, 9-minute course that takes you on a tour of the threat landscape and shows you some of the common ways the bad guys try to trick you. In this 10-minute module, you will learn to spot real-world social engineering attacks by helping to guide Jake Saunders, a typical computer user, through six potential social engineering attacks. Jake needs to make the right decisions or suffer the consequences. This fully interactive 8-minute module, shows you the seven areas of an email to pay attention to if you don’t want to be hacked. Once you know where to look, it shows seven real-life examples, and you’ll be asked to spot the red flags in each. This 5-minute micro-module provides a brief overview of best practices that businesses and employees can implement to prevent attacks and protect sensitive information from social media hackers. This course alerts users to the security problems that can arise from common social media usage – even when posting information that is personal. It includes a series of five scenarios presented as actions/decisions an employee can make when using popular social media platforms and tools and the potential consequences of each. Users will gain an understanding of how to use social media safely and securely—without putting the organization at risk. This 5-minute micro-module covers the risks of picking up a USB stick and plugging it into a workstation. This 5-minute micro-module covers the very important topic of email spoofing. It defines social engineering and shows how hackers can infiltrate an organisation and create spoofed emails that trick unsuspecting employees. It also covers a real-life example of just how dangerous email spoofing can be. The purpose of this courses is to make learners aware of the latest threats to security for the modern traveling business person. This course will also provide strategies and practical advice for traveling safely. This five-minute course covers key steps executives and board members can take to reduce mobile security risks associated with using their devices, which range from routine device assessments to adding encryption to sensitive access points. This course is less than five minutes in length. In this module executives and board members will learn about the dangers associated with accessing WiFi remotely or while traveling, which include device loss or theft, remote-access requirements, and vigilance regarding corporate assets. This five-minute course is a high-level view of ransomware and delves into strategies that organizations can use to mitigate potential losses. This course is five minutes in length. It was created to show executives and board members techniques social engineers and hackers use to trick senior executives and steps they can take to reduce the risk of falling victim to sophisticated phishing attacks. This five-minute course shows executives and board members how to defend themselves against disingenuous communications and use authentication to protect their identity and secure information. In this five-minute course, executives and board members will learn how to operate more safely in a digital environment by creating strong passwords, using biometrics, and incorporating a virtual private network. This course is less than five minutes in length. It provides executives and board members with a high-level view of precautions they need to take to protect sensitive data when working off-site. In this five-minute course, executives will learn about destroying sensitive information in a secure way as well as compliance mandates for archiving and maintaining archived data and clearly defining procedures for handling, retrieving, archiving, and destroying sensitive information. An introduction to the importance of privileged user access in today’s environment. This course covers the important aspects of Microsoft Windows that will help you do a better job in managing the privileges you’ve been granted and help you avoid mistakes that could endanger your enterprise. Pretexting: Fake Executive to I.T. What Does a Social Engineer Look Like? What is a Man In The Middle? 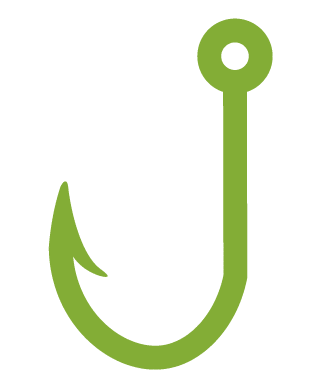 Concerned that your business may be prone to phishing? Schedule your free phishing test with Tech Guard today, to find out how phish-prone your company is and assess your risk. Interesting in more training? Speak to our team to schedule a demo of our training platform, free of charge.